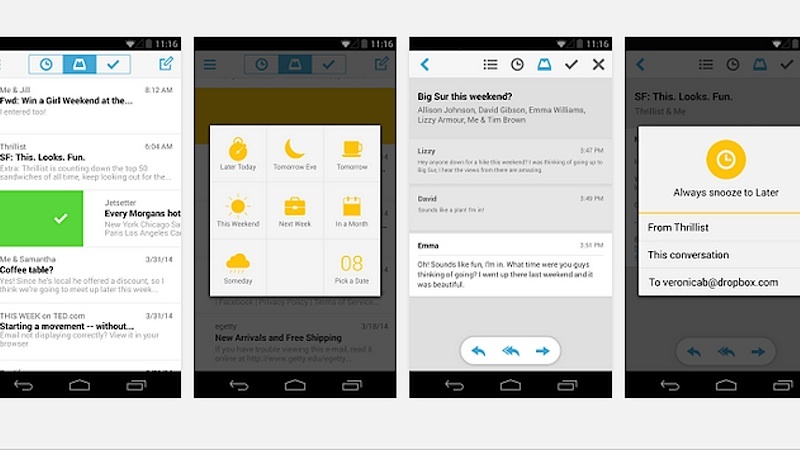 Inbox zero assistance for Android users as Mailbox arrives. I used it on IOS and loved the interface. However, tried the zero inbox thing for a while but didn't stick. They do really "sell" a philosophy along with the app. Instead I ended up with an Mailbox icon on my iPhone with a permanent "300+" badge. Then there's also the fact that they are accessing your mail via a 3rd party server - meaning one more link to hack.... Probably ok (until they do get hacked and it gets out). I am somewhat embarrassed to say I have 25 000 unread mails in my inbox. I've given up on inbox zero - as far as GTD goes, I'm simply treating the inbox as that universal dump now.